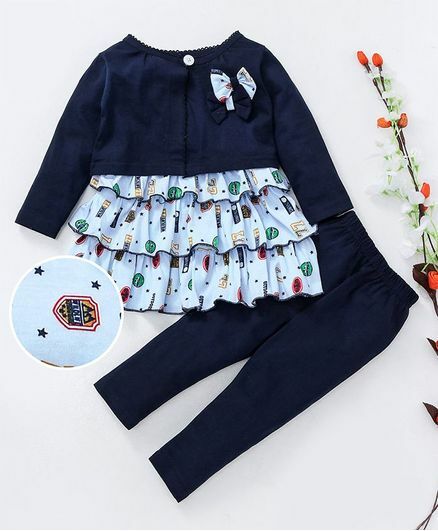 Refresh your child's wardrobe collection with this fabulous set that includes a short sleeves frock, full sleeves shrug and leggings from Dew Drops . Crafted from soft fabric, this layer frock, bow applique shrug and solid colour leggings offers a stylish look and all day comfort. Perfect for this season, this set can be teamed with cap and sandals. Styling Tip: The set can be teamed with hair band and sandals. top and jacket is nice. but pant is not stretchable.